While not the first film to depict such a situation, the Angela Mao-led, Huang Feng-directed "Hapkido" is certainly one of the more enjoyable efforts to depict the time in the early 1930s, when Japan occupied Korea. Filled with fun action scenes and combined with a stellar period setting and a fun, breezy story that recalls the earlier Bruce Lee effort "Fist of Fury," that makes this one of the best Golden Harvest efforts. "Hapkido" screened at the Old Kung Fu Fest, that will be on in New York, August 18-20. 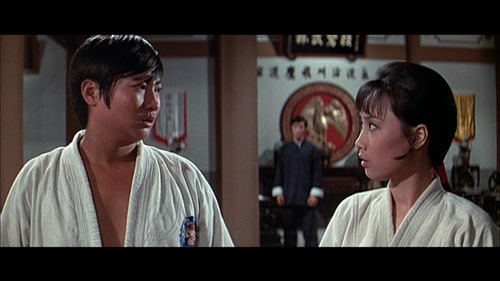 Set in 1934 Korea, Chinese students Kao Yu Ying (Angela Mao, from "Enter the Dragon"), Kao Chang (Carter Wong, from "Big Trouble in Little China") and Fan Wei (Sammo Hung, from "The Magnificent Butcher") are sent back to their homeland after their training is completed. Attempting to establish a Hapkido school in their hometown, they quickly run into opposition from a Japanese run school led by Toyoda Yaguma (Goro Kumon, from "Gamera vs. Jiger") who directly opposes their practices and tries to run them out of the town. Trying to apply their training, the troupe finds no remorse from the relentless need for self-defense against their attackers and finally force a final showdown with the gang to keep their school alive. 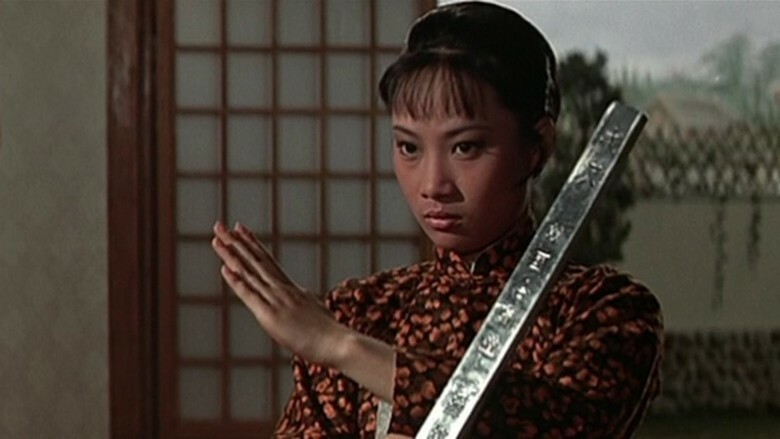 For the most part, this is an incredibly enjoyable old-school kung fu effort. Being reliant on such a simple story from writer, 'Hapkido' aims to deliver a slight retelling of the infamous Bruce Lee effort 'Fist of Fury' in much the same manner. The backdrop of Japanese oppression of China is a huge influence on the film, and the constant speeches made to force them to stand up to their oppressors due to this fact, dominates the film. This nationalistic angle also adds immeasurably to the fighting, giving it a greater intensity that becomes apparent as the mocking of their style and training. The two groups are constantly at each others' throats and trying to outdo each other by humiliating the other forms a large section of the film while setting up the reasons to fight. The notions of pride and standing up for your country to protect the weak forces a solid story here, even if the familiarity does ring true for the most part. Of course, in a film like this, the main strength is the fighting. Carrying that Nationalistic angle over, the numerous confrontations are some of the finest in the genre. Every performer gets a chance to showcase their skills in combat. Wong gets a brutal beatdown in the Japanese dojo where he takes on the school as well as the top fighter, making this a strong overall scene. Hung gets several big scenes where he trashes multiple members of their group and gets to look impressive being able to handle that many fighters at once. Mao gets to enjoy the biggest fight scenes where she displays her skills against the staff members at the dojo while the last battle with their top fighter is a dynamic showcase. These keep the film moving along smoothly with a steady pace as the constant fighting is what enables this to stay interesting. The choreography and stunt-work by Sammo Hung is lively yet realistic, showing the performers being bruised and thrown around into the surroundings which make an overall great time. The simple story pretty much allows the cast to give traditional performances that are expected in these films. The Japanese gang is given the stereotype of the bullying, aggressive types who are carefree, do what they want and believe themselves superior, until they get beaten in a fight. Given that no one really has a name, though, it stands to reason that no one is really able to stand out other than being punching bags when it's time to stand up against the oppressors. Carter Wong is somewhat memorable as the level-headed Kao Chang, who tries to uphold his teachers' virtues yet finds himself goaded into fighting. It's a decent role, but nothing out of the ordinary from these types of films. Sammo Hung as Fan Wei is close to stealing the show as his desire to stand up to his oppressors and fight conflicts with his teachings. The hot-headed star and his quiet introspection is a nice balance carried by Sammo's charisma. Angela Mao as Chun Yu Ying is the real highlight, as her tender side is explored really nicely yet the grace and athleticism she displays allows her to stand toe-to-toe with the henchmen. While it stands up rather nicely, the film does have its minor flaws. As mentioned earlier in the review, the storyline is incredibly simplistic and familiar. Granted, you want a film that enables an endless amount of fighting, there's no extra sub-plots or any kind of special stories to move the film along. People show up and fight and nothing else ever really happens here, so the story just goes from one fight to another and the only way we know anything is setup in the beginning so nothing else changes. That slides into the other issue, with its familiar storyline. It plays exactly like another variation on numerous other films of the time period of the kind-hearted moving into an area oppressed by a vile gang and standing up to the gang through their superior skills. It's been overdone in the genre which really sets this one amongst the numerous other films that utilize this storyline. Overall, 'Hapkido' has a lot to really like about it. There's plenty of high-energy fighting, a great if somewhat simplistic story and some well-known stars in action doing what they do best. It does have some minor flaws to it, but for fans of the style or any of the stars of the film this is a must-watch effort.